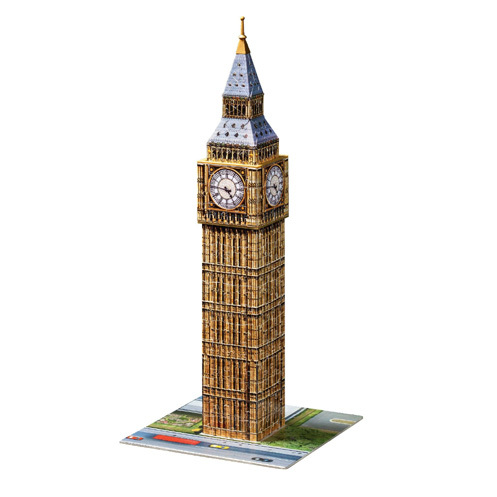 Have a taste of London with Ravensburger's Big Ben 3D puzzle. The chimes of Big Ben have been ringing out of the clock tower of the Palace of Westminster in London since 1859. Construct this fascinating landmark with uniquely curved, hinged and flat interlocking puzzle pieces. No glue required. 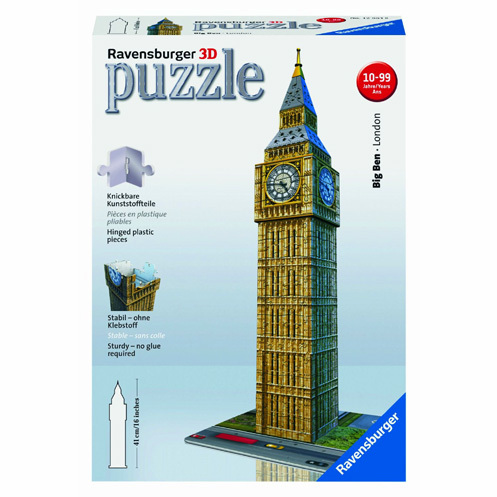 216 plastic puzzle pieces and instructions. Completed height is 16" tall. Measures approximately: 7.50 x 10.75 x 2.75 inches..